Polyester printing paper ascends to a new level with our Fusion Rigid Polyester. This strong polyester film from Fusion Digital Paper™ offers a top coated surface designed specifically for high heat toner digital applications, making it preferable to PVC and vinyl paper products. The truth is there is no more durable printing paper on the market today. Our rigid digital polyester is a tear resistant, waterproof paper at its finest. It is resistant to harsh conditions and environmental exposure, including many cleaning liquids, alcohol, oil and grease. As such it is the perfect synthetic paper for all your outdoor paper needs. Demanding graphics are to be embraced and not feared due to a smooth printing surface that yields outstanding image fidelity and toner adhesion. When quality and durability matter, Fusion Rigid Polyester is the polyester printing paper for the job. Our proprietary topcoat is enhanced for scratch and scuff resistance, and our polyester film strikes quite the contrast when compared to cheaper cavitated films, PVC and vinyl paper that are often substituted today. 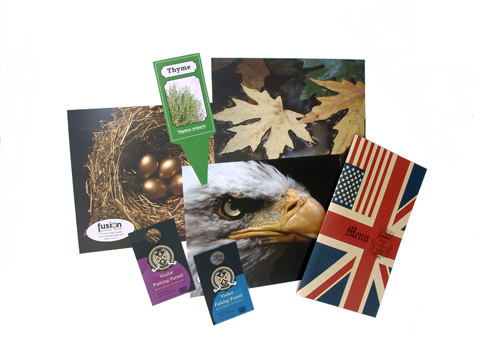 Like all of our products at Fusion Digital Paper™, our Fusion Rigid Polyester is made in the USA. Support American manufacturing while tapping into one of the most incredible tear resistant, waterproof paper products available anywhere. We offer our Fusion Rigid Polyester in two thicknesses, 8 and 11 mil. The rigidity of our 8 and 11 mil calipers provides the snap of a heavy board and cover paper, making it a natural for those printing outdoor signs. You need and deserve a durable paper that can stand up to inclement outdoor weather conditions. Such an option will allow you the convenience of not having to laminate your finished products saving you time and money. Our Fusion Rigid Polyester will allow you to do such jobs in-house and in a matter of minutes. 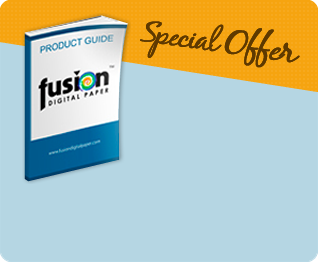 This is the exciting new reality we are offering our customers at Fusion Digital Paper™.